China’s elite fifth generation stealth fighter recently made its debut, raising questions about its capabilities. The Chengdu J-20, a Chengdu Aircraft Industry Group product, is designed to close the gap between American and Chinese air power. The stealth fighter is regarded as a potential rival to America’s F-35 Lightning II Joint Strike Fighter and F-22 Raptor. 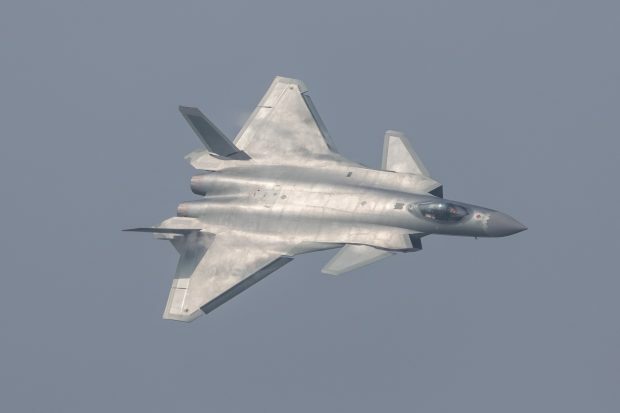 “The J -20 aircraft is China’s own new generation stealth fighter, developed to meet the needs of the future battleground,” People’s Liberation Army Air Force (PLAAF) spokesman Shen Jinke said at a press conference prior to the aircraft’s unveiling. The new long-range fighter is expected to help transform China into a Pacific power. The J-20 is for national defense and represents a monumental achievement for Chinese air power. 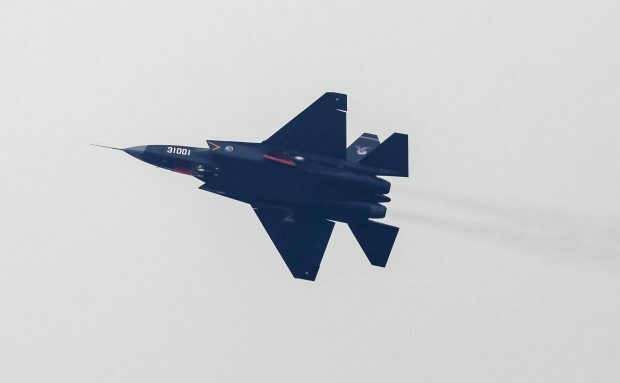 China also has another stealth fighter, the J-31, a similar, yet less, powerful aircraft that is still being developed and appears to be for export purposes. The J-20 resembles the F-35 from the front, and the general shaping is similar to the F-22. The J-31 strongly resembles the F-35. “A lot of the tech involved has gained advantage from a bit of espionage, we’re pretty confident about that,” explained Dr. John Blaxland from ANU’s Strategic and Defense Studies Center. “The aircraft is clearly inspired by the F-22,” the Aviationist’s David Cenciotti explained when photos of the J-20 were leaked in 2011. So, how does the J-20 stack up against the aircraft on which it is almost certainly based? “It’s better than current Chinese fighters, but it probably doesn’t match the new U.S. fighters,” Director for Defense Analysis and Data at Aviation Week Daniel Katz, who attended Airshow China 2016 last week in Zhuhai and observed the J-20 firsthand, told The Daily Caller News Foundation. The J-20 is bigger than both the F-35 and F-22, which gives it a longer range — however it is probably not as powerful, maneuverable, or stealthy as its American counterparts, Katz explained. 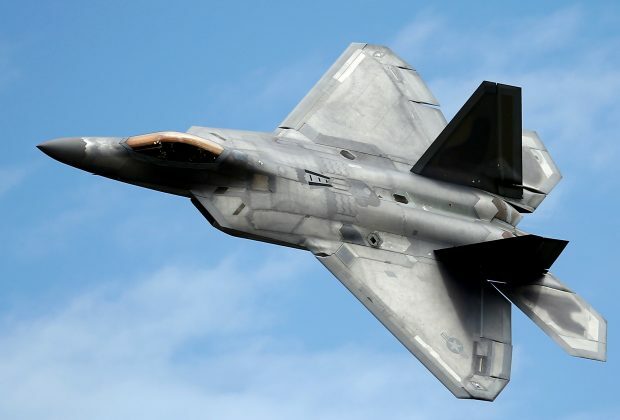 With regard to firepower, the missile load appears similar to the F-22, which carries six beyond visual range combat (BVRC) missiles and two short-range missiles. The fighter’s greatest weakness is likely its engine. Unable to domestically produce high-powered jet engines, China is still reliant on outdated Russian engines — less power means less maneuverability. The J-20’s stealth may not match its U.S. counterparts. Its general shape is conducive to front aspect stealth, but it has six auxiliary flight surfaces, as opposed to two or four on American aircraft, and some angles are not aligned for low observability. Furthermore, China does not have experience with the conductivity techniques required to achieve the very low radar signatures that American fighters have. China’s stealth capabilities are likely to improve over time though, since it is a key aspiration for the Chinese military. “PLAAF leaders believe stealth aircraft provide an offensive operational advantage that denies an adversary the time to mobilize and to conduct defensive operations,” the U.S. Department of Defense introduced in its 2016 Annual Report to Congress on China’s military power. China’s J-20 also lacks the Cooperative Engagement Capability (CEC) that the F-35 enjoys. Working with the Naval Integrated Fire Control-Counter Air (NIFC-CA) system, the F-35 can serve as a long-range sensor and relay target data back to a missile destroyer equipped with SM-6 missiles, giving the U.S. aircraft an additional advantage in combat. Despite some of its weaknesses, the J-20 is a very combat-capable aircraft built to meet China’s defense needs, specifically the demands of its anti-access, area-denial (A2/AD) strategy. 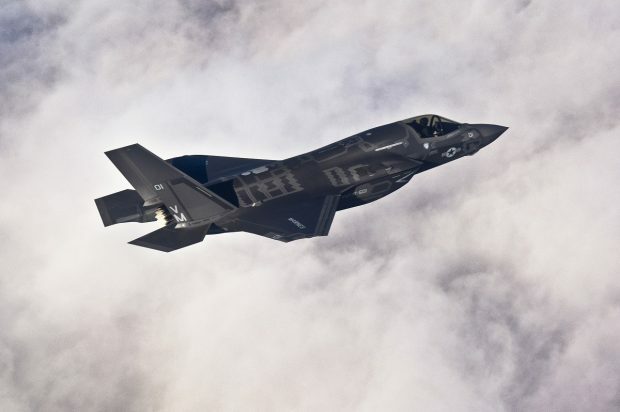 Operational aims could include: penetrating defenses to eliminate vital assets, such as tankers, that U.S. aircraft like the F-35 rely on in battle; striking air fields and ground-based infrastructure; and anti-ship combat, Katz told TheDCNF. It is unclear whether the J-20 has been equipped with anti-ship missiles, but it would not be difficult for China to arm the fighter with this type of weaponry. U.S. fighters could reasonably achieve a 30:1 kill ratio against China’s older fighters, such as the J-11; however, that figure would probably be closer to 3:1 for more advanced Chinese fighters like the J-20 and J-31, suggesting that China’s newer fighter jets are leaps and bounds ahead of their predecessors. And, the J-20 may be in for an upgrade. China has ordered 24 Sukhoi Su-35 Flanker-E fighters, and initially requested a suspiciously large amount of spare engines, from Russia. “The Chinese are almost certainly interested in the Su-35 to harvest its technology,” Dave Majumdar, the defense editor at The National Interest, recently explained. “It will take them years to do this though,” Katz noted. The Chinese may use the Su-35’s engine and electronics technology to improve the J-20. Outfitted with Su-35 engines, China’s J-20s would become much more powerful, boosting both maneuverability and reliability. With Su-35 electronics, China’s stealth fighter would have advanced electronic warfare capabilities as well. Even with these upgrades, the J-20 would probably still struggle to compete against the F-22 and F-35, Katz revealed, but while the J-20 may not yet be a one-for-one match for U.S. aircraft, it has most of its neighbors beat. In Asia, “the J-20 is overall probably better than anything that’s not the F-35 or F-22,” making it a great “marketing tool” for the F-35, Katz quipped to TheDCNF. South Korea and Japan are primarily flying F-15s, Vietnam is flying Russian Su-27s, and the Philippines is using Korean FA-50 light fighters. China’s J-20 would have the advantage over these aircraft, which is one reason countries like South Korea, Japan, and Australia are all buying the F-35.